I was so lucky to receive a Vox Box from Influenster and asked to review L’Oreal Color Vibrancy Hair System. I received a full size shampoo, conditioner and hair mask in exchange for doing a review for them on the L’Oreal website. Oh you want to get free stuff to review? Sign up here. I wasn’t sure what to expect from a drug store shampoo and conditioner. However, L’oreal is behind a lot of high end brands too, so I was expecting a good product. I’ve used this for a month now, and it’s as good now as it was the first time. I had products start out good and then sort fail after a few uses. This keeps on going. It’s supposed to help preserve your hair color, according to L’Oreal. And it does but also does so much more. The scent. It’ s a sweet feminine scent that lingers on my hair for a few days. I love that!!! It rinses very clean. My hair feels like it’s free of any residue. It keeps my hair bright. The conditioner is very moisturizing. My hair is very shiny and smooth after each use. It doesn’t cause build up, and it doesn’t make my hair greasy. The mask is nice, but I don’t need it with this conditioner. I’m not sure I need that much conditioning. Some people have reported this dried out their hair after a few uses. I didn’t have the same experience, but wanted to include it. Would I buy this for myself? Yes. I’m actually curious what other products L’Oreal has in this line. What an awesome first taste from Influenster! Thanks!!! In my October Birchbox, was a pair of Jeff Chastain Parlor products; Parlor Moisturizing & Repairing Shampoo and Conditioner. I’ve received Parlor products in Birchbox in the past, and I’m usually a fan. Most recently, I had a sea salt spray from the line, and loved it. This gently cleansing shampoo from NYC stylist Jeff Chastain is a triple-threat of fortification, hydration, and repair. Infused with the brand’s signature scent of ripe peach, fresh cut grass, and white woods, it’s sulfate-free, paraben-free, gluten-free, and color-safe. So, just a shampoo. It was nice. It smelled nice. It lathered nice. It was…well…nice. But it did exactly what it was supposed to do – clean my hair. And it did that. It didn’t wow me with anything. Same goes for the conditioner. One thing to note – it was gentle on my color treated hair. However, I didn’t find it to be any more or less moisturizing than any other high end shampoo. Not for $22. Sorry, Parlor! Have you tried the Parlor Moisturizing & Repairing Shampoo and Conditioner? Do you like it? Last week was a whirlwind in my professional and family life. So many things going on! So, as soon as Friday came, I pampered myself with some Olaplex. Here I am, in a big sweatshirt and no make-up haha. My hair is wet and Olaplex is on my head. I like to keep my Olaplex on my head for about an hour. Then I shampoo and conditioner and style my hair as usual. When done, my hair feels very soft and smooth. In case you are curious, no Olaplex does not come in a crazy red color. My stylist puts my hair color in the bottle when we color my hair. Everything is matchy matchy! What is your favorite way to unwind after a busy week? If you “Like” us on Facebook, you probably saw Kassi post about The Wet Brush last week. Our hair stylist friend saw and immediately recommended the miracle brush to us! Then she got me one. This little gem is super inexpensive at $8.99! 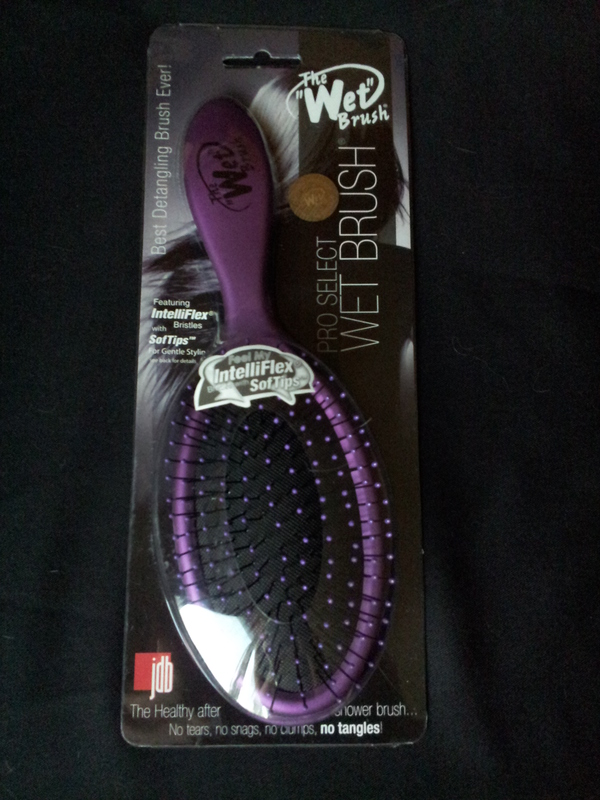 The Wet Brush has really flexible metal bristles that glide through your hair effortlessly. You can use wet or dry, and it gets the tangles out easily. It has replaced my two pick and my brush. The bristles are longer than any other brushes I’ve had, and they sort of massage your scalp as you brush your hair. Massaging your scalp helps to circulate the blood in your scalp and makes your hair grow faster :-) Who doesn’t want that? It comes in so many fun colors!!!! Have you tried The Wet Brush? My friend got me this as a “thanks for cleaning up my cats’ poop while I am away on a fantastic vacation and you are stuck in ugly Chicago weather”. I haven’t used it yet. It doubles as a treatment and a shine enhancer. Intrigue!!!! 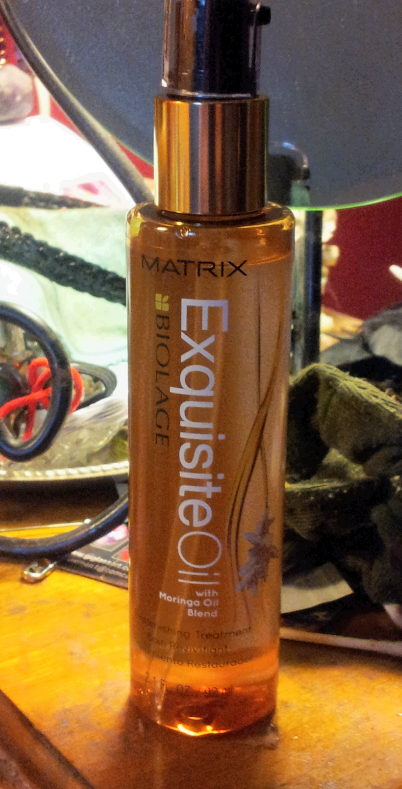 My hair is crazy dry in the winter, so I’m looking forward to using this is a treatment then. But I am thinking this may be amazing to add shine on no wash days. That is, once I start wearing my hair down again. Right now, it’s tucked into a headband almost every day because growing out your hair from a bob is the absolute worst. Have you lovelies tried this? Thoughts???? 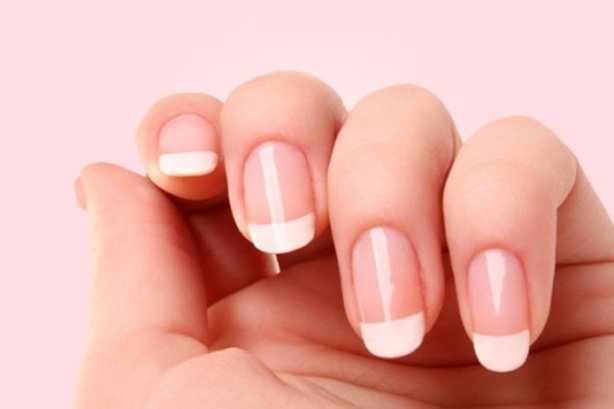 What we want – amazing nails! Kassi and I both had the WORST finger nails this past winter. Brittle, peeling, constantly breaking.